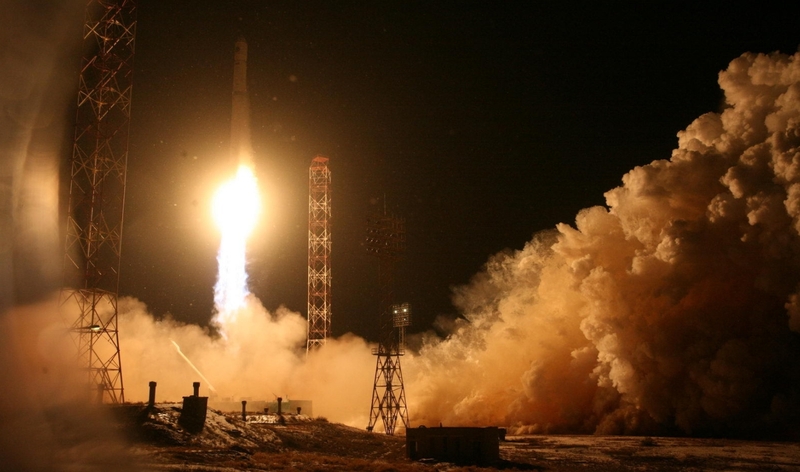 Over two years after its last launch, Russia and Ukraine’s Zenit rocket launched Wednesday, deploying Angola’s first satellite, AngoSat-1, in a mission from the Baikonur Cosmodrome in Kazakhstan. The launch – Russia’s last of 2017, and likely the last launch of the year worldwide – occurred at 01:00 local time (19:00 UTC on Tuesday). At the time of Zenit’s last launch, in December 2015, it seemed almost inconceivable that the rocket would ever fly again. Developed in the final decade before the Soviet Union collapsed, Zenit represented the future of the country’s space program and was expected to boost military and civilian spacecraft – including manned missions – into orbit. Instead, the dissolution of the Soviet Union left that space program in the hands of Russia, while Zenit’s manufacturers were located in Ukraine. By the end of the 1990s, Zenit had fallen out of favor with the Russian Government but instead found a new lease of life on the commercial launch market. In the hands of Sea Launch, a multi-national joint venture including Zenit’s Ukrainian manufacturers, Boeing and Russia’s RKK Energia, a three-stage version of Zenit equipped with Russia’s Blok-DM upper stage was flown from a converted oil rig in the Pacific Ocean. 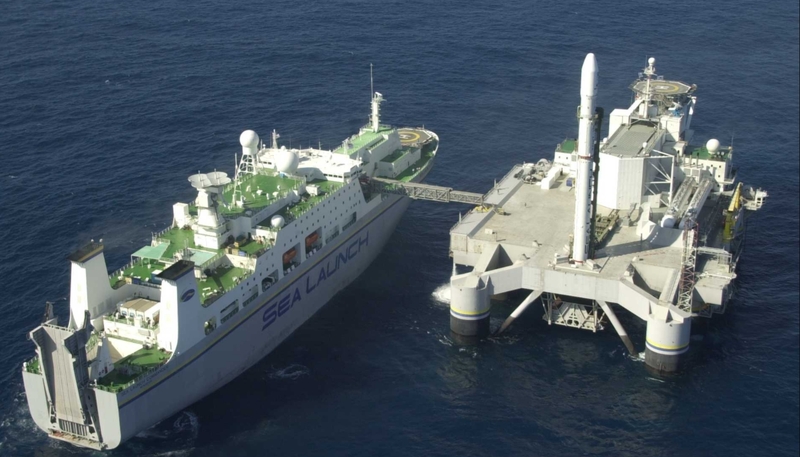 By positioning its launch platform, named Odyssey, on the equator, Sea Launch was able to maximise Zenit’s payload to geostationary transfer orbit. 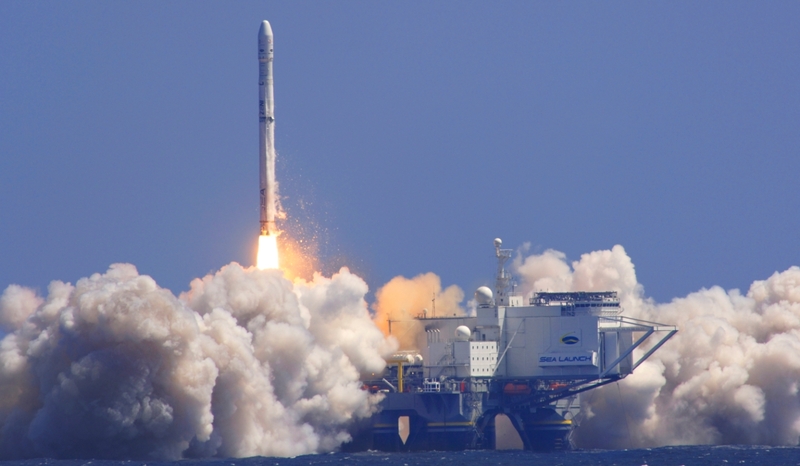 Following changes in the market – combined with reliability concerns after launch failures in 2007 and 2013 – the commercial missions dried up and Sea Launch stood down launch operations in May 2014. In recent years political difficulties – particularly the Russian invasion of Crimea – have led to a breakdown in cooperation between Russia and Ukraine. When Zenit launched Russia’s Elektro-L No.2 weather satellite in 2015, the only launches remaining on its books were of Russia’s Spektr-RG astronomy spacecraft which was expected to move to a Proton launch instead, and Ukraine’s Lybid’ communications satellite which also seemed unlikely to fly as a result of the political situation. Spektr-RG’s switch to Proton has since been confirmed – the rocket that was built for this mission is instead being used for Wednesday’s launch – however Lybid’ is expected to fly in the coming year. AngoSat had originally been booked to fly on Sea Launch, following what was planned to be a two-year hiatus in the company’s launches. In 2016 RKK Energia – the satellite’s prime contractor – reached an agreement with Russian S7 airline group and the Yuzhnoye design bureau, who are responsible for Zenit. The deal – funded by S7 – would see the AngoSat launch moved to Baikonur using a Zenit-3F rocket that had already been delivered but which was no longer required for Roskosmos’ Spektr-RG satellite, as the first step towards returning Sea Launch to flight. As part of the agreement, S7 agreed to purchase the assets of Sea Launch, subject to the approval of US and Russian authorities. Earlier this year, S7 announced plans to order twelve additional Zenit rockets for the project. No further launch contracts have been announced. 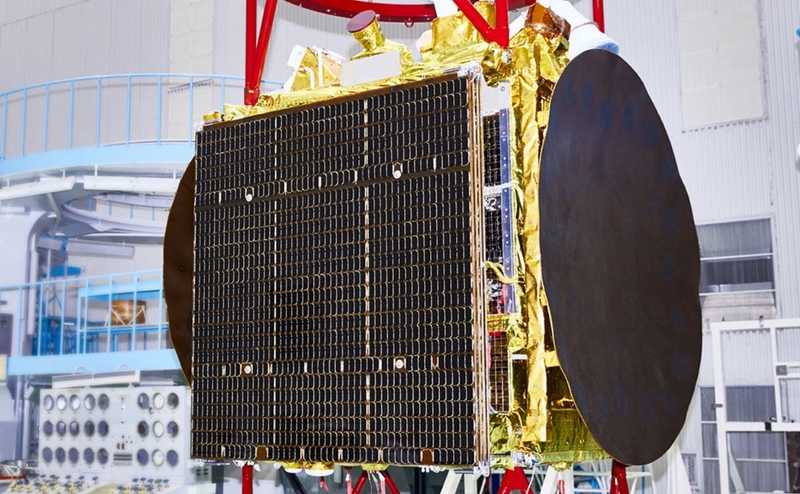 Angola’s first satellite, AngoSat-1 was built by RKK Energia around the USP platform – previously used for several of Gazprom’s Yamal communications satellites. AngoSat-1 carries a communications payload constructed by Airbus Defence and Space, consisting of sixteen C-band and six Ku-band transponders. It is a relatively lightweight satellite with a mass of only 1,647 kilograms (3,631 lb). The satellite will be operated by Angola’s Ministry of Telecommunications and Information Technology. It will be placed in geostationary orbit at a longitude of 14 degrees East and is expected to operate for at least fifteen years. Once in orbit the satellite will use eight SPT-70 xenon ion thrusters to keep station. It is not equipped with a liquid apogee motor, and will instead be carried almost all the way to geostationary orbit by the carrier rocket’s upper stage. The Zenit rocket was developed in partnership between the Soviet Union’s Yuzhnoye and Yuzhmash design bureaus, and first flew in 1985. In its initial form, the Zenit-2, it was a two-stage rocket. Zenit’s first stage also formed the basis of the four boosters that flew on the heavy-lift Energia rocket. Zenit flew its first commercial mission from Baikonur in September 1998 in a failed attempt to orbit twelve Globalstar satellites. The first three-stage version of the rocket, the Zenit-3SL, was introduced in March 1999 with a demonstration flight for Sea Launch. 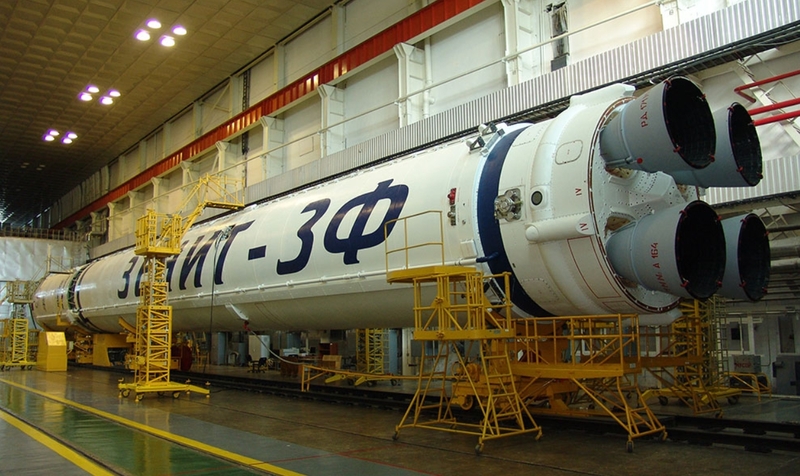 The Zenit-3SL added a modified Blok-DM upper stage to the rocket and incorporated additional upgrades and changes necessary to fly from Sea Launch’s Odyssey platform. Some of these changes were incorporated into a modernized version of the Zenit-2, the Zenit-2M, which first flew from Baikonur in June 2007. In 2008 a new three-stage configuration, the Zenit-3SLB, was introduced to make geostationary launches from Baikonur under Land Launch, a subsidiary of Sea Launch. For Wednesday’s launch, a Zenit-3F rocket was used. Also known as Zenit-2SB/Fregat-SB, this version of the rocket was first flown in January 2011, and uses a Fregat-SB third stage instead of the Blok-DM. A restartable, storable-propellant, upper stage, Fregat can make a series of burns to inject its payload directly into higher orbits, such as the geostationary orbit that is being targeted by Wednesday’s launch. It was the fourth Zenit mission to fly with a Fregat upper stage – not including the November 2011 launch of Fobos-Grunt, a planetary probe that was built around a modified version of the Fregat and boosted into orbit by a two-stage Zenit. Fregat is powered by an S5.92 engine, fuelled by unsymmetrical dimethylhydrazine and dinitrogen tetroxide. Fregat-SB is a modified version of the standard Fregat, designed to provide additional performance when used in conjunction with larger rockets such as Zenit or Proton – although it has only ever been used on Zenit. The stage carries additional propellant in a jettisonable tank, allowing it to burn for longer than when launched aboard Soyuz. The AngoSat mission was the first launch to use a Fregat since the stage failed during a Soyuz launch in late November. During that mission, involving a Soyuz-2-1b/Fregat-M vehicle flying from the Vostochny Cosmodrome, the stage suffered an attitude control problem that caused it to fire at an incorrect orientation. This problem has since been traced to an issue with the way the stage’s guidance system aligns itself, specific to the launch azimuth used on missions flown towards sun-synchronous orbit out of the new Vostochny Cosmodrome. The quick results of the inquiry into the Soyuz launch failure have allowed AngoSat’s launch to continue on schedule. Zenit launches from Baikonur take place from Pad 1 of Site 45. This is one of two pads originally built at Site 45 for Zenit: Pad 2 was completed in 1990 and used for two launches that year. During the second launch the Zenit-2 rocket’s engine cut out a few seconds after liftoff and the rocket fell back onto its launch pad, which was destroyed in the resulting explosion. The second pad was never rebuilt. The Zenit launch complex was designed to minimise processing time and manpower required to conduct a launch. Automation was employed wherever possible, and the complex was designed to allow Zenit to be fuelled and launched within ninety minutes of the rocket arriving at the launch pad. 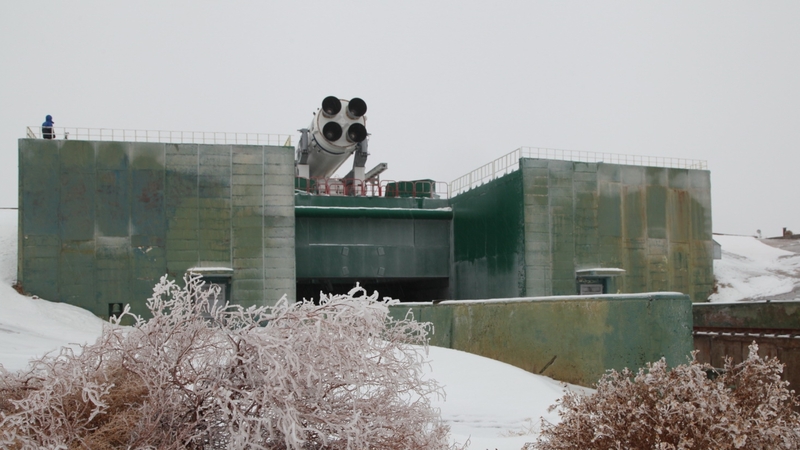 Before its rollout to the launch pad, Zenit was prepared horizontally at Baikonur’s Site 42, a hangar and processing facility that was originally built for the R-16 missile and later used during testing of the R-36. The rocket that will be used for Wednesday’s launch had been at Baikonur for some time, and underwent refurbishment before launch in order to replace components that had passed the end of their usable lifespan, and to extend the lifespan of the stage itself. The vehicle was transported to the launch complex and erected on Sunday. Zenit’s first and second stages burn RG-1 propellant, which is oxidized by liquid oxygen. A single RD-171M engine, with four combustion chambers, powers the first stage. This ignited about three seconds before liftoff. The first stage burned for the first 144 seconds of flight, carrying Zenit away from Baikonur on the first leg of its journey to orbit. Once the first stage separated, the second ignited. Powered by an RD-120 engine with a four-chamber RD-8 to provide steering, the second stage injected AngoSat-1 and its Fregat upper stage into an initial low Earth parking orbit. About two minutes and 58 seconds into the second stage’s six-minute, 13-second burn, the payload fairing separated from the nose of the rocket. The fairing, which protects the upper stage and payload as the rocket ascends through the atmosphere, was no longer needed with the rocket flying through space. Discarding it saves mass, allowing heavier payloads to be delivered into orbit. Mission Profile, via Galactic Penguin SST (NSF). At eight minutes and 37 seconds mission elapsed time, following completion of the second stage burn, Fregat separated into its first parking orbit. The stage coasted for sixty-five minutes and twenty seconds before firing its ullage motors to settle propellant ready for its first burn. Fregat’s main engine fired fifty-five seconds later, beginning a seven minute, 55-second burn to reach an intermediate transfer orbit. Thirty-seven seconds after the burn ended, Fregat jettisoned its external propellant tank. Fregat made its second burn two hours after its first has been completed. The stage again fired its ullage motors 55 seconds in advance of its main engine, which began firing at three hours, 23 minutes and 55 seconds elapsed time. The burn lasted eleven minutes and eight seconds, injecting AngoSat into geosynchronous transfer orbit. With the second burn complete, the Fregat/AngoSat stack coasted towards the orbit’s apogee, which took over five hours to reach. The final Fregat burn of Wednesday’s launch began eight hours, 44 minutes and one second after liftoff, with the ullage motors having again begun firing 55 seconds earlier. Fregat’s S5.92 engine burned for eight minutes and forty-one seconds to insert AngoSat into geosynchronous orbit. The satellite separated about 121 seconds after the end of the burn. At the present time there has been an issue reported with the satellite, as it stopped communicating after deployment. This would not be the fault of the rocket. Wednesday’s launch was the only Zenit launch of 2017, and Russia’s twentieth and final launch of the year. Russia’s next launch is expected in the first week of January, with a Soyuz-2-1v rocket deploying Eksperimentalny Maly Kosmichesky Apparat (EMKA), an experimental reconnaissance satellite. The next Zenit launch is not expected until the second half of next year, with Ukraine’s Lybid’ satellite. The Zenit launch may be the last of 2017 worldwide. Japan had been due to launch a modified SS-520 sounding rocket on Thursday in an attempt to orbit the TRICOM-1R satellite, however it was announced on Tuesday that this launch would be postponed due to an issue with the rocket. No new launch date has been announced, although it is likely to be in the new year. Wednesday’s launch was the ninety-first of the year, including an Iranian launch in July which Iran claimed as a successful suborbital test flight, but which western analysts have increasingly classed as an unsuccessful attempt to make orbit. 2017 has seen a high number of launch failures worldwide, with five launches failing to achieve orbit, another reaching an incorrect and unsalvageable orbit after the rocket’s payload fairing failed to separate, and at least one more launch reaching a lower-than-planned but still usable orbit. Worldwide, the next known scheduled orbital launch is planned for 5 January in Universal Time – 4 January at its launch site – with a SpaceX Falcon 9 due to loft Northrup Grumman’s Zuma satellite for a clandestine mission. The date of the EMKA launch is currently unknown, however, so this could fly before Falcon 9.